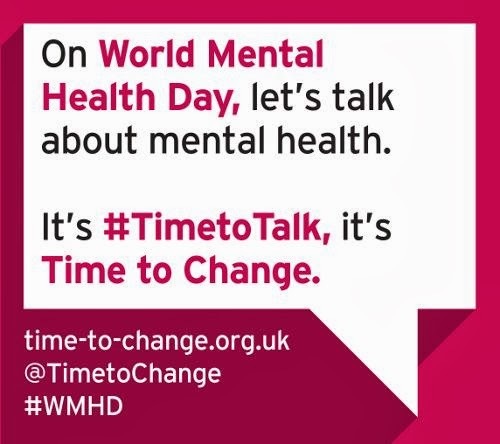 Today, October 10th 2013, is World Mental Health Day. It’s a time to talk. A time to let the stigma of talking about mental health run free. This year, they day focuses on mental health in older people. But everybody knows it’s not just older people that suffer from mental health. Regular readers of my blog will know that I myself have suffered with mental health, and I chose to talk about it openly. But too many people make others feel ashamed. I have many friends and acquaintances who have suffered, and do suffer with mental health. If it wasn’t for talking about it myself, I would never have known.